We are opening for the season Friday, May 22nd at 9am! The farmstand will be open daily 9am-6pm until the weather slows us down. This time of year is gorgeous at the orchard. 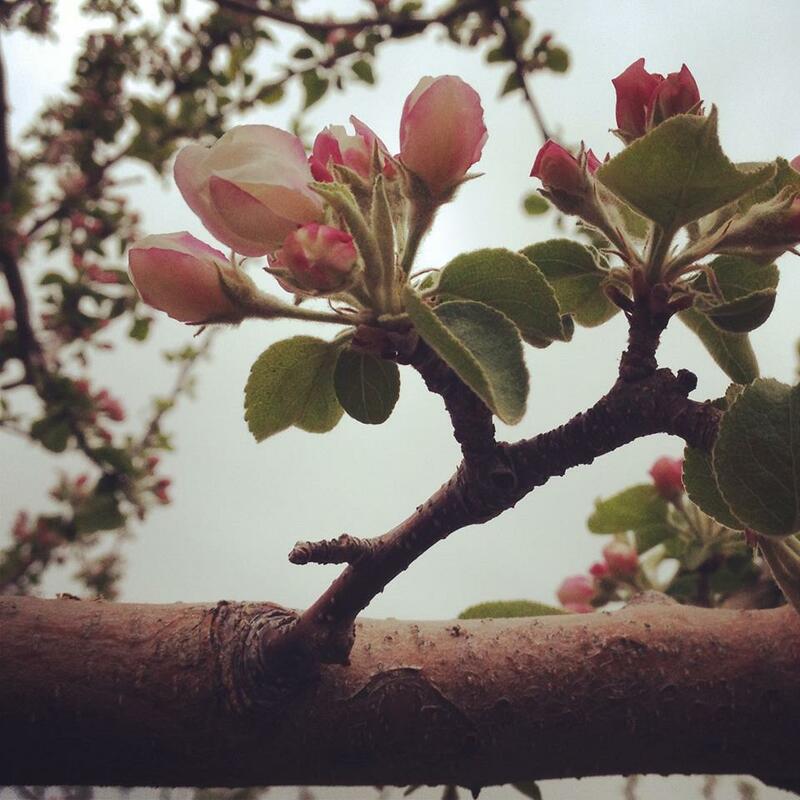 All the fruit trees are in bloom- the views from the farmstand are breathtaking! You don't want to miss the view! We will be serving our famous cider donuts, fresh coffee, and brick oven pizza all weekend! Pizza available from 11:30am-3pm! The shelves are stocked with jams, syrup, hardwoods and produce. We anticipate having greens, apples, garlic, local butter and eggs for opening (first come, first serve on produce). With the new season comes new flavors and new inspiration! Bring in an old cookbook you want to retire and trade it in for a new one from our collection. This is a great opportunity to clean out your bookshelves and to make room for new inspiration! The swap will be open Friday-Monday, May 22nd-May25th 9am-6pm. See you there! Are you grilling this Memorial Day Weekend? We have tasty, locally made condiments on sale from May 22nd-May25th. We have several varieties of Raye's Mustard including White Lightning, Summer Harvest, and more all for $3.00 a bottle! Northwood's Gourmet Girl's ketchups and relishes are 20% off. Have you gotten your tickets to the Herb, Food & Beer Tour May 30th and 31st? We are a stop on this years' annual tour! Join us both Saturday and Sunday, May 30th and 31st at 12pm! We will be demonstrating how to make a fresh herb pizza in our outdoor oven followed by a tour of the orchard (weather permitting). Specials on select merchandise for ticket holders too! For more information, or to purchase tickets click here.